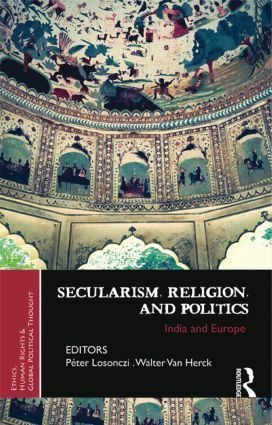 This book highlights the relationship between the state and religion in India and Europe. It problematizes the idea of secularism and questions received ideas about secularism. It also looks at how Europe and India can learn from each other about negotiating religious space and identity in this globalised post-9/11 world. Peter Losonczi is Associate Researcher, Centre for Metaphysics and Philosophy of Culture, Belgium. Walter Van Herck is Associate Professor, University of Antwerp, Department of Philosophy, Belgium. Whereas the interrelation of ethics and political thought has been recognized since the dawn of political reflection, we have witnessed over the last 60 years – roughly since the UN Universal Declaration of Human Rights – a particularly turbulent process of dilating, indeed globalizing, the coverage and application of that interrelation. At the very instant the decolonized globe consolidated the universality of the sovereign nation-state, that sovereignty – and the political thought that grounded it – was eroded and outstripped, not as in eras past, by imperial conquest and war, but rather by instruments of peace (charters, declarations, treaties, conventions), commerce and communication (multinational enterprises, international media, global aviation and transport, internet technologies). Has political theory kept apace with global political realities? Can ethical reflection illuminate the murky challenges of real global politics? The book series 'Ethics, Human Rights and Global Political Thought' addresses these crucial questions by bringing together outstanding texts interrogating the intersection of normative theorizing and political realities with a global focus. The volumes discuss key aspects of the contemporary chiasmus of the local and the global – social movements and global justice, folkways and human rights, poverty and sustainability, rural realities and the cosmopolitan hyperreal.